Recent images are highlighted above in the scrolling content slider. If you wish, click the "Forward" button to speed through or stop at one you like!
" Start small and build well. 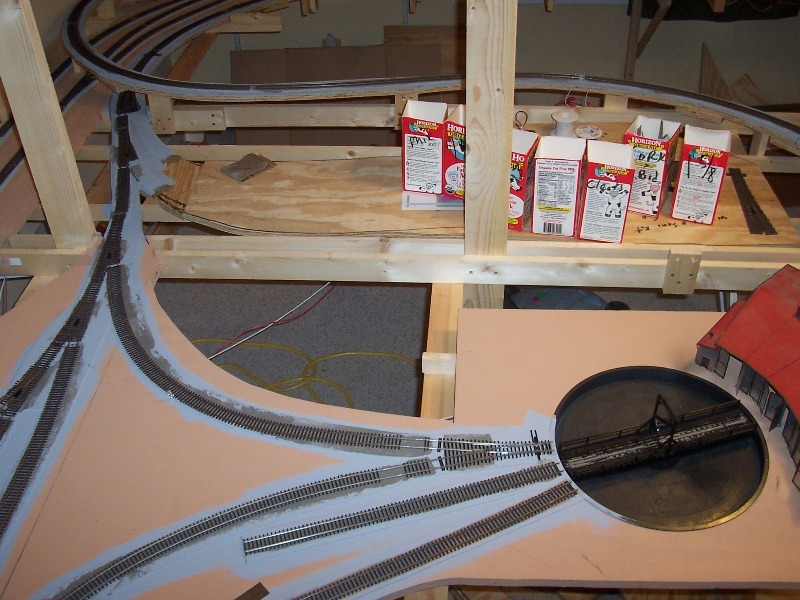 Plan your small railroad for operation rather than as a race track, and build it with care. You will be amazed at how much fun a small pike can be." 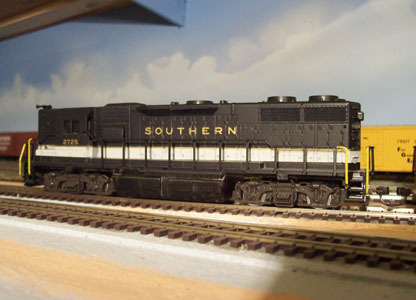 Welcome to my model railroad layout web site The Piedmont Division! Or as I like to call it for short, The PD. 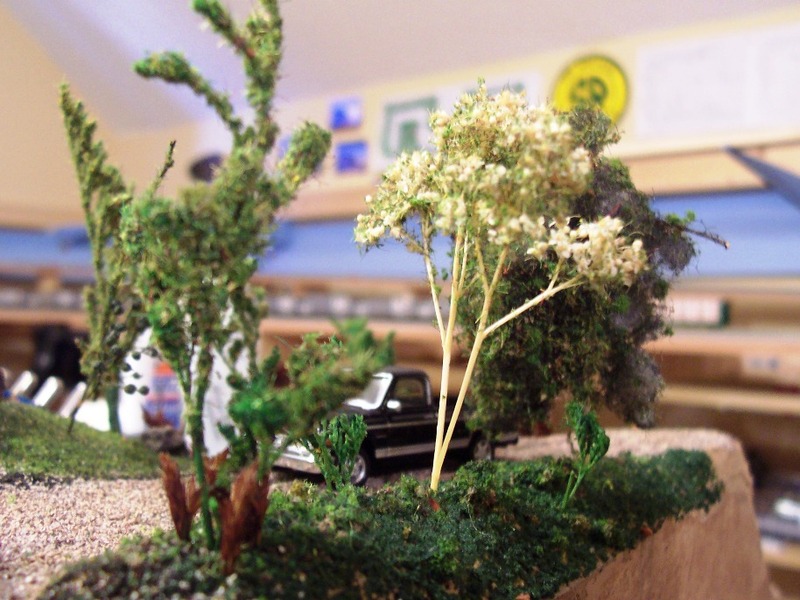 I am Ryan Boudreaux, and I hope you enjoy viewing these web pages as I continue to update them on the progress of my HO scale model railroad and layout. The train room is located on the 3rd floor of our house, it was an attic converted by the previous owners into a fully built out room with AC and carpet. So there was virtually little room prep needed to get it started. A small window unit AC was installed in the spring of 2006 as it does get a bit warm in the "attic/train room." 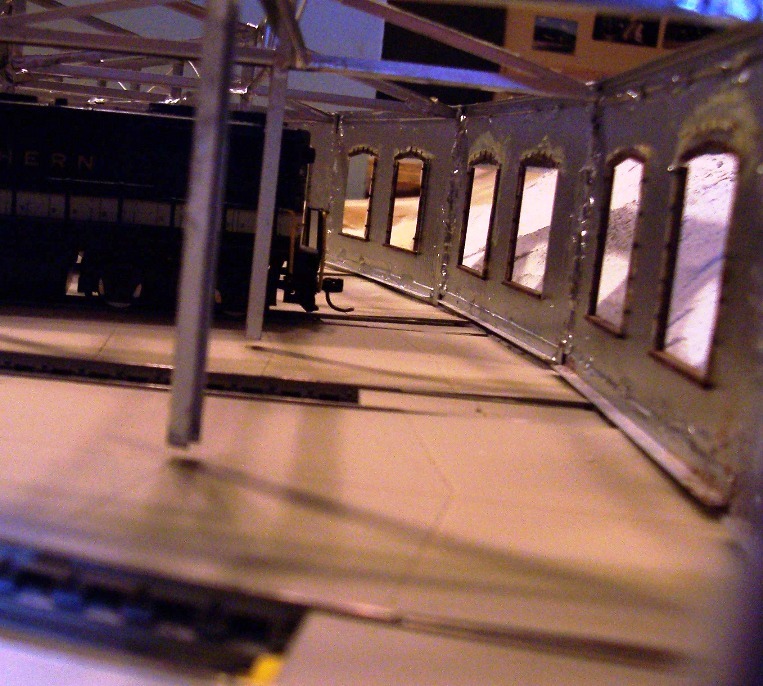 My original plan of painting the walls above the benchwork levels for the sky effects has been scraped and have opted to plan a hanging fascia section to approximate the museum style window box effect. 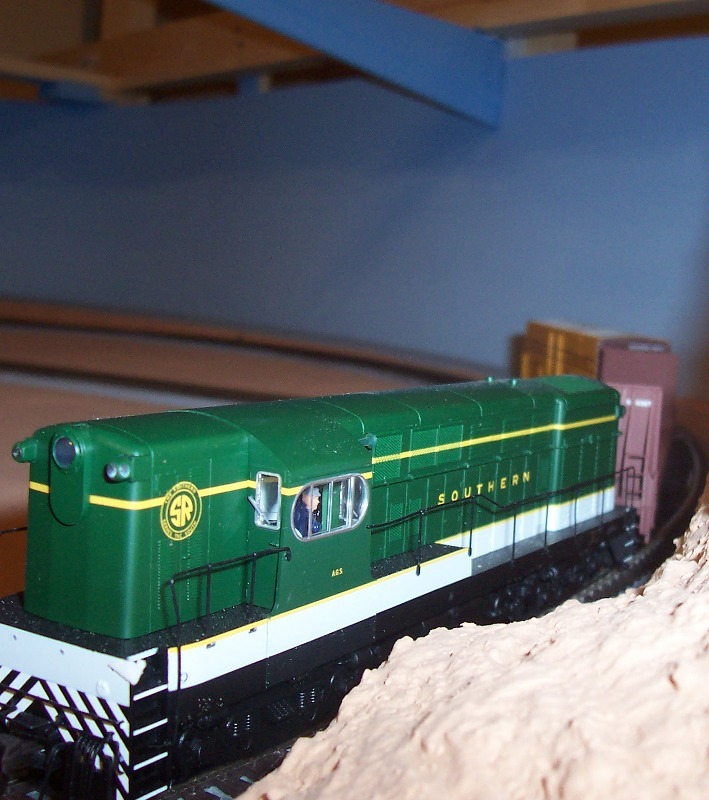 In addition to installing track lighting to illuminate the upper level deck I will also incorporate lighting behind the upper deck fascia. 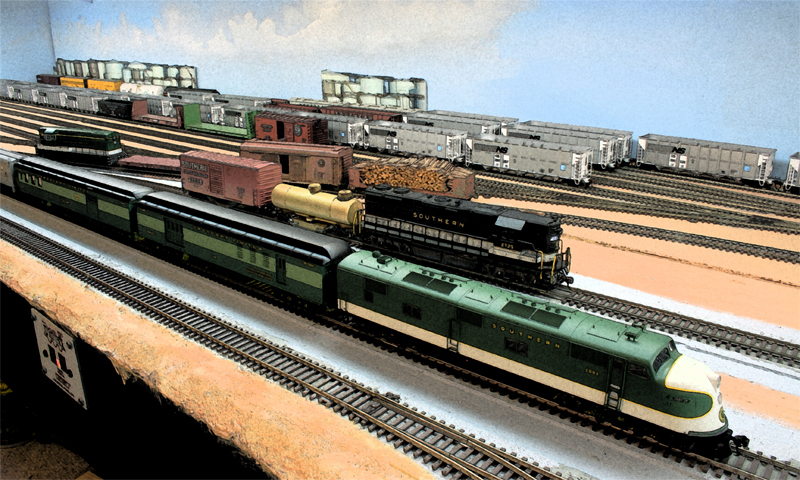 My layout had been in the planning stages for over two years, and is not the original plan as it has evolved over time and many hours of research have proven a plus in the "final" plan. I use 3rd PlanIt track planning software to design the layout plans, and I have been using it for about 5 years now, I find it a useful tool in creating accurate scale drawings. 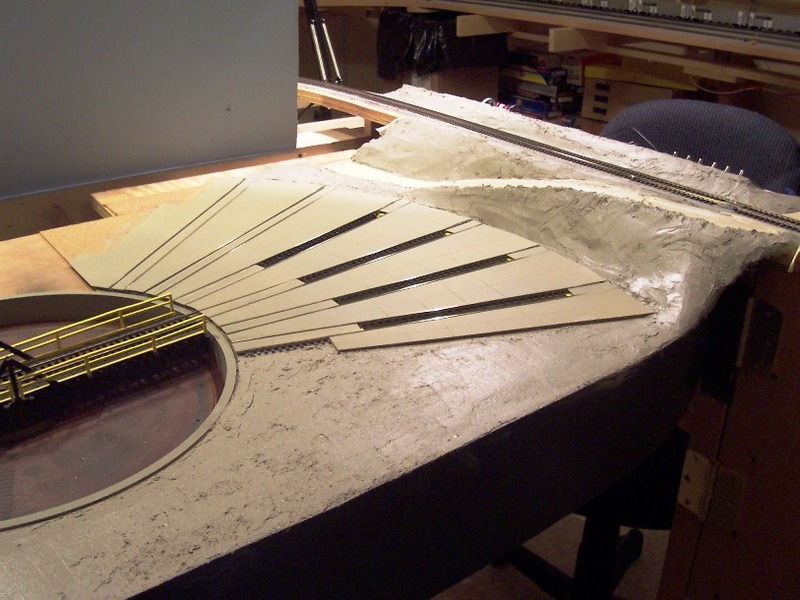 The plans can be rendered in 3D as well; this helps in the creativity and building stages, and is a great guideline when it comes time to actually build out the benchwork, roadbed, track, etc. 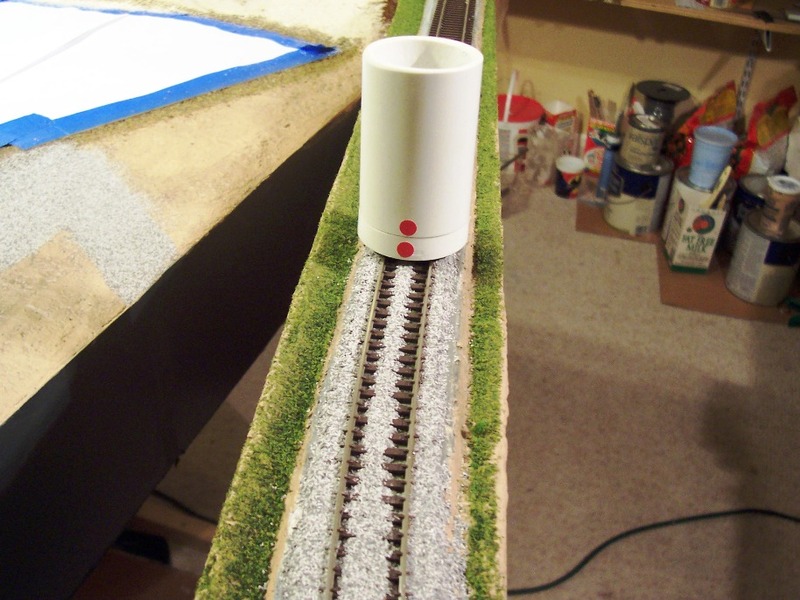 I also print out the 1:1 drawings and use them as templates when cutting sub-roadbed and laying down roadbed and track, a very helpful tool! To view "The Plan's" check out the Construction page. 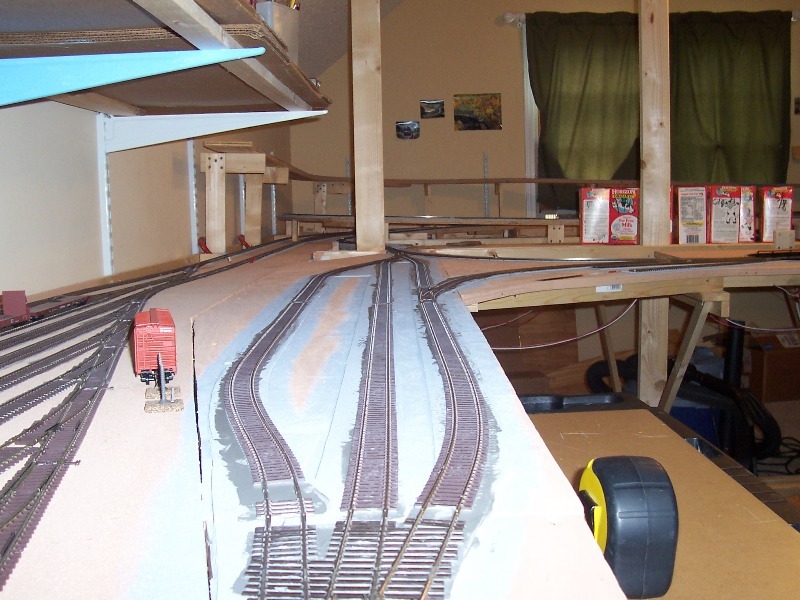 While I am currently about 95% completed with the track for the lower deck and the around the walls section leading up to the upper deck the track plan has been completed for that section of the layout. 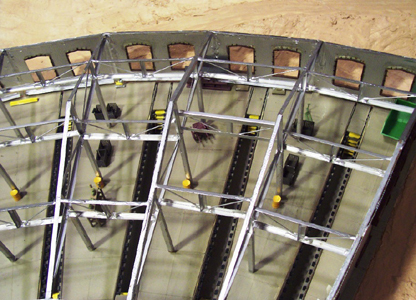 Construction on the upper deck began on Thursday, January 8, 2009. I have learned more since the initial plan was made, and want have incorporated that into the upper level plan. 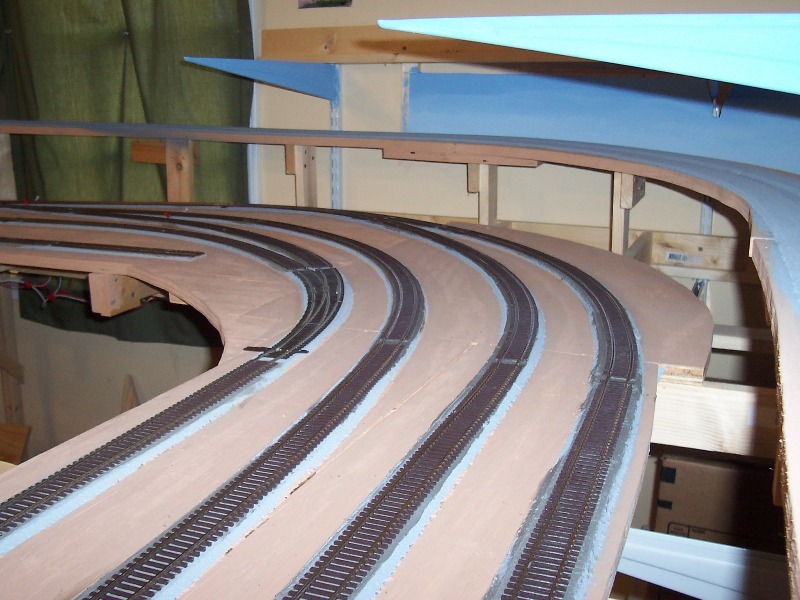 You can review detailed progress of my layout construction building progress from the Construction page and also you can view updated images of the same progress on the layout from the images Gallery Intro. Just click the links for a quick diversion. After accessing the Gallery Intro page, click the Main Gallery link to view the photos page. The original photos page was getting too large with over 150 images, therefore it has been expanded to include separate photos in three month increments. Click the link to the main photos page to browse all the separate pages. 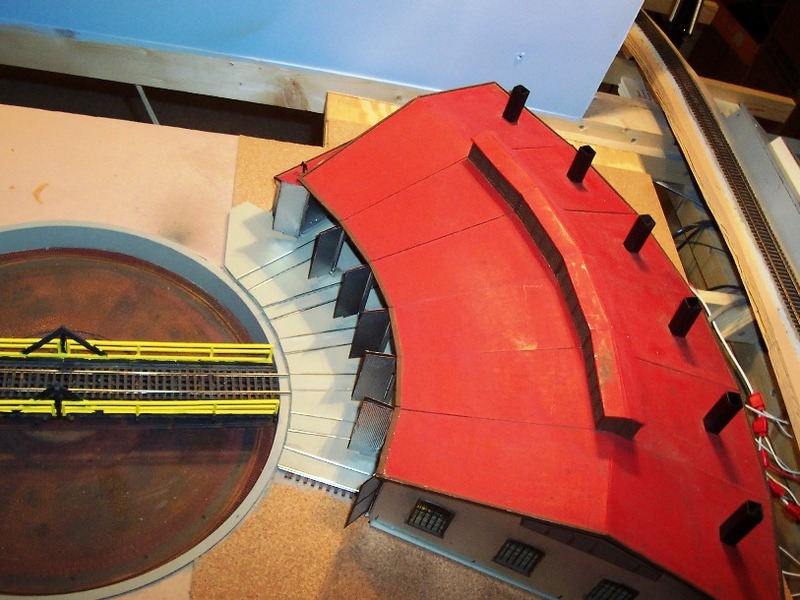 For a detailed description of my Roundhouse Renovations Project click the link to Roundhouse Renovation Project. 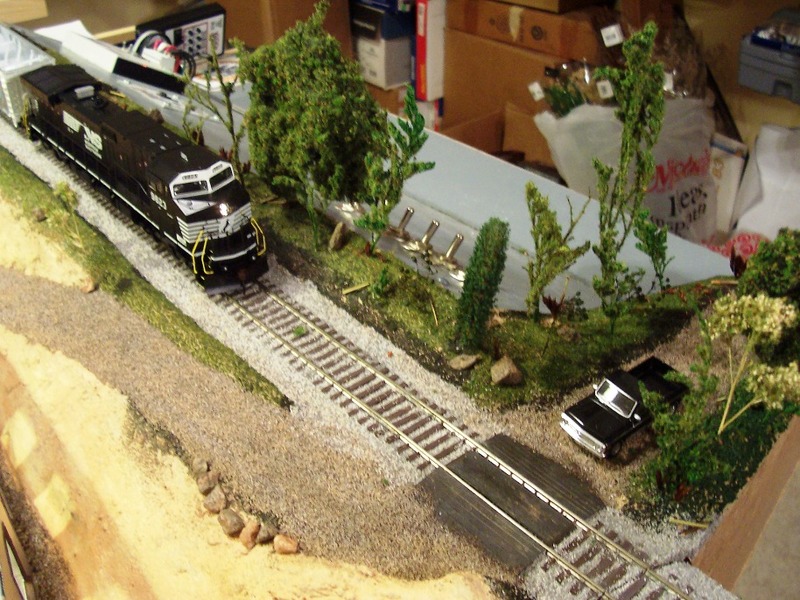 "No matter what type of model railroad you do, my advice is to start small, take your time planning your layout, and remember to have fun." 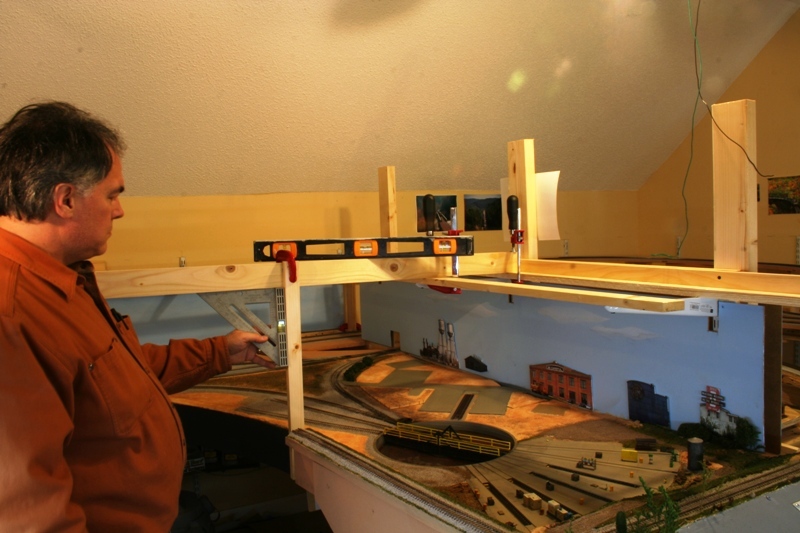 January 12, 2009 ~ Upper Deck Benchwork Started ~ After reading the book Designing & Building Multi-Deck Model Railroads by Tony Koester and published by Model Railroader Books I got inspired to begin the task of getting the upper deck track plan finalized. 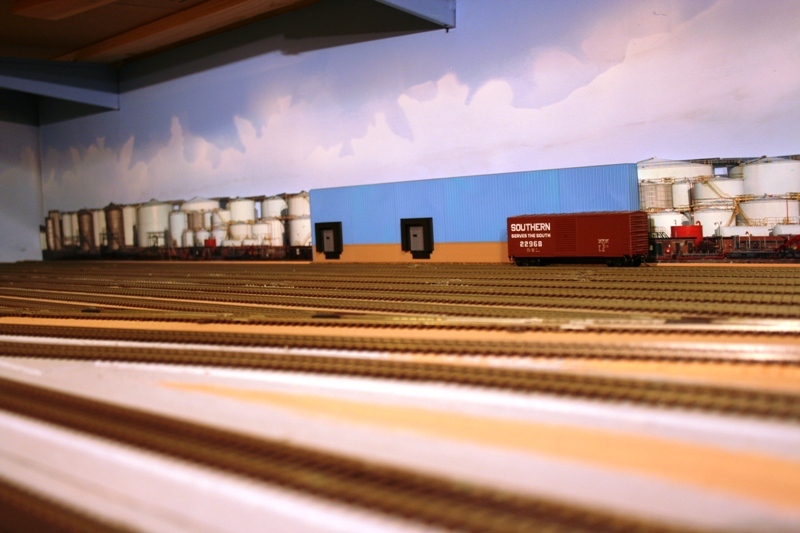 For more layout construction updates check out the Construction page. 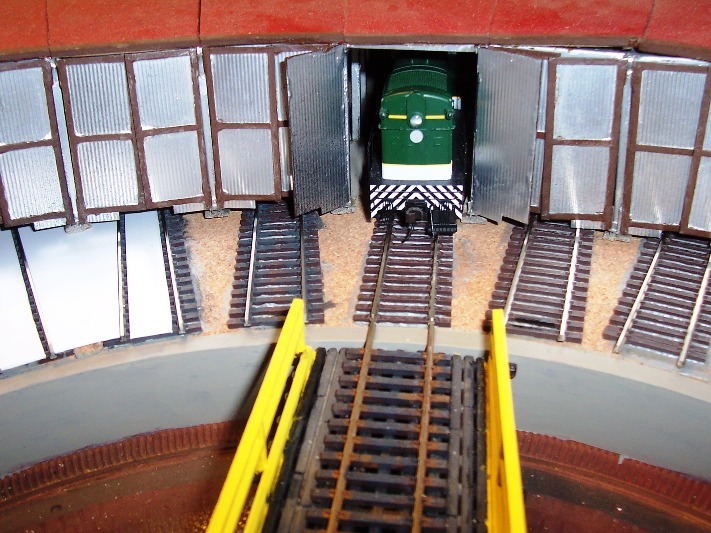 Rail Fan reports has been moved to the The Prototype page. 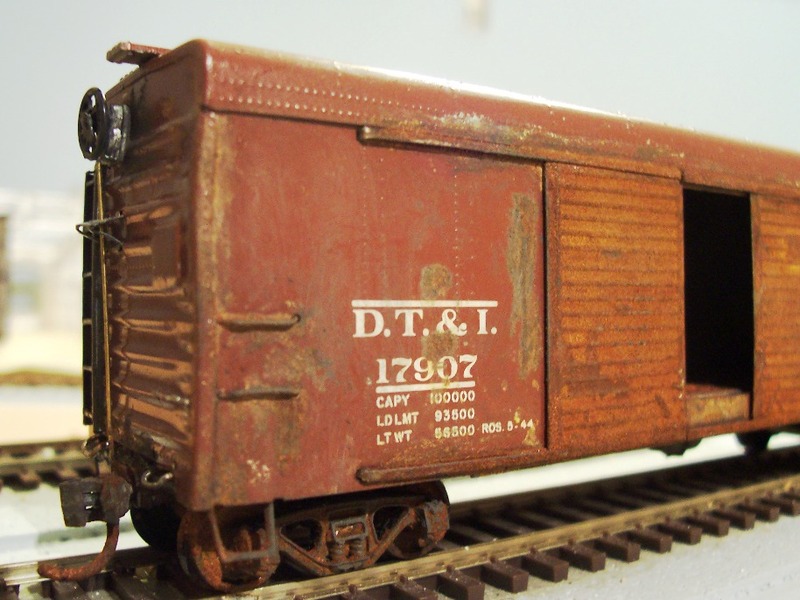 Some of my family folks have requested that I put together a wish list of items that I would like for the layout. 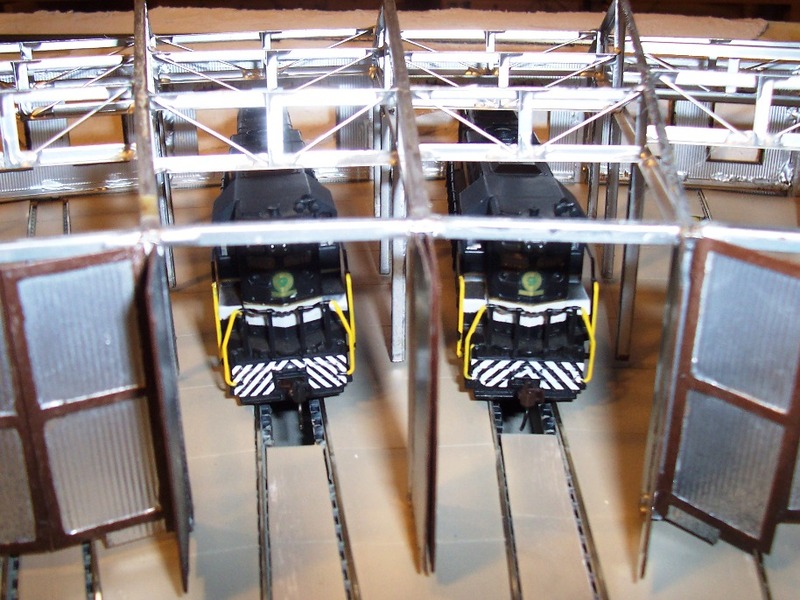 Walther's Model Railroad Mall Online has a wish list available and I have had one in my name since 2004. To view my Walther's wish list it is publicly available online, please click Ryan's Wish List. Just make sure that the item is in stock before you place an order, because many items become out of stock or are on back order and can take months to be available again. 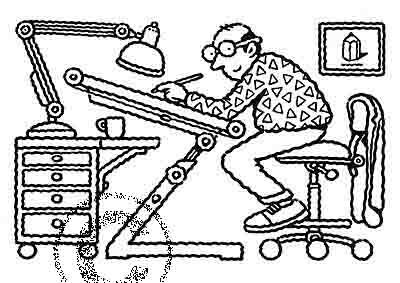 Trust me, I have many items on back order and have learned the virtue of patience many times. To order any these items at a 20% discount you can call Mr. Kim Parker (919 562-4378) at Train Buddy and just give him the item number. He will be happy to place the order through his Walther's Retailer account and can save you a lot of money and time in the process. 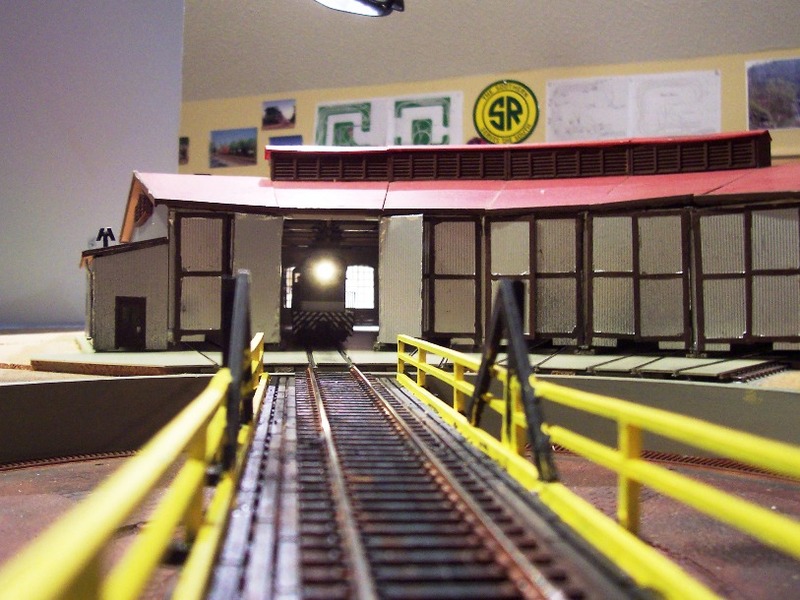 Please see my Piedmont Division You Tube account to view the latest videos of the layout and rail fanning. 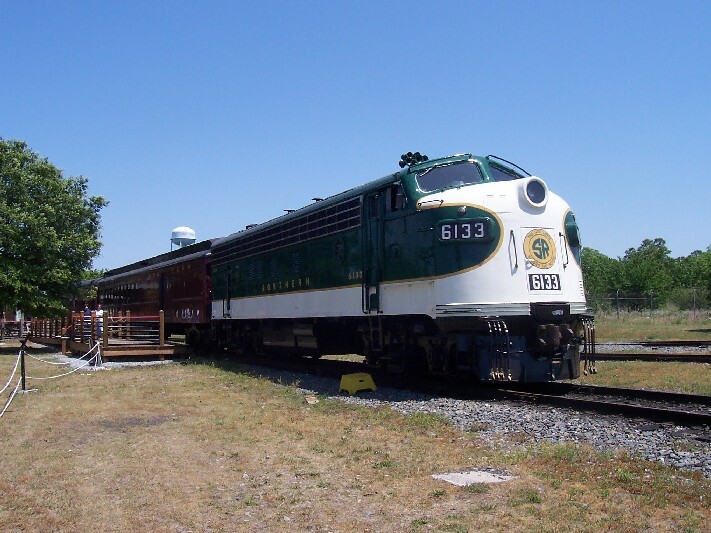 This video of the Southern #6133 FP-7 cab ride has over 27,000 views and is a favorite of many. 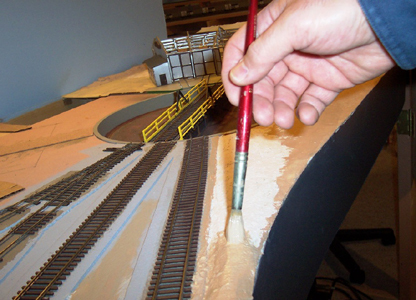 I would like to point out many of the positive influences that have assisted me in creating the current incarnation of my model railroad layout. They are listed in chronological order. My grandfather, Mafflin Christoffel (1917-1990) who first introduced me to HO scale model railroading when I was just a little tike coming down the pike. 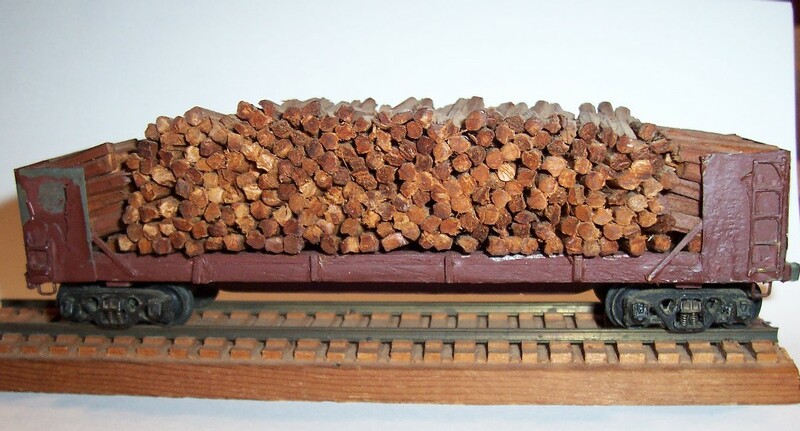 He modeled his layout in the 1950's and early 1960's after the Rock Island railroad with pulpwood operations centered around a prototype that he and his father ran. He owned the Pioneer Timber Company in Pineville, Louisiana and provided pulpwood to local paper mills in Louisiana, Texas, and Mississippi. 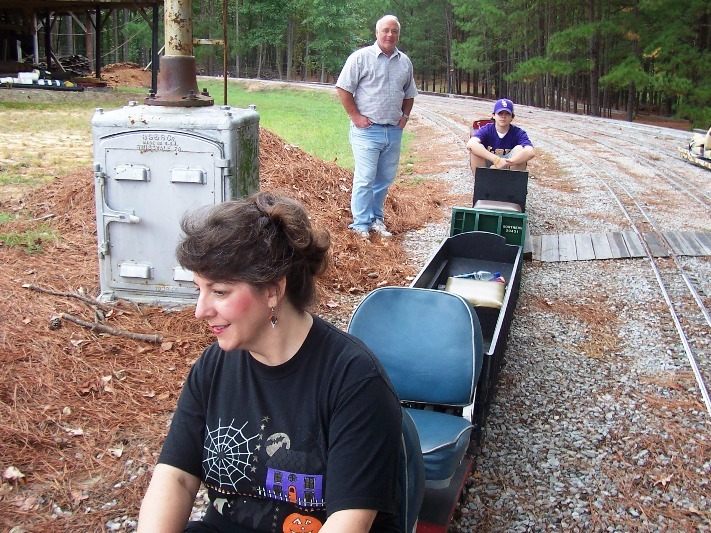 His father was also a dispatcher for the L&N railroad at the Eunice Depot in Louisiana for many years. I need to pick my mother's brain for more details on this railroad family history. 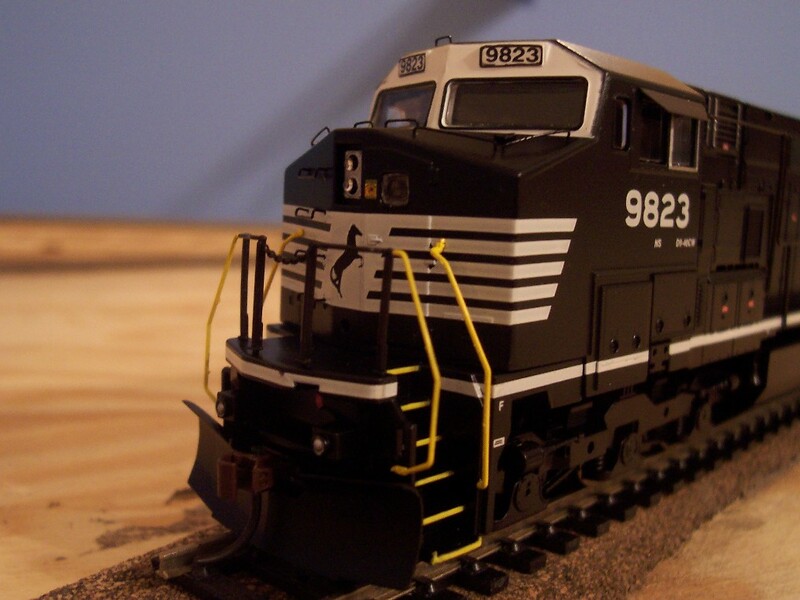 My parents, Joe and Martha Boudreaux, who gave me an HO scale railroad, set for Christmas one year in my pre-teen days. 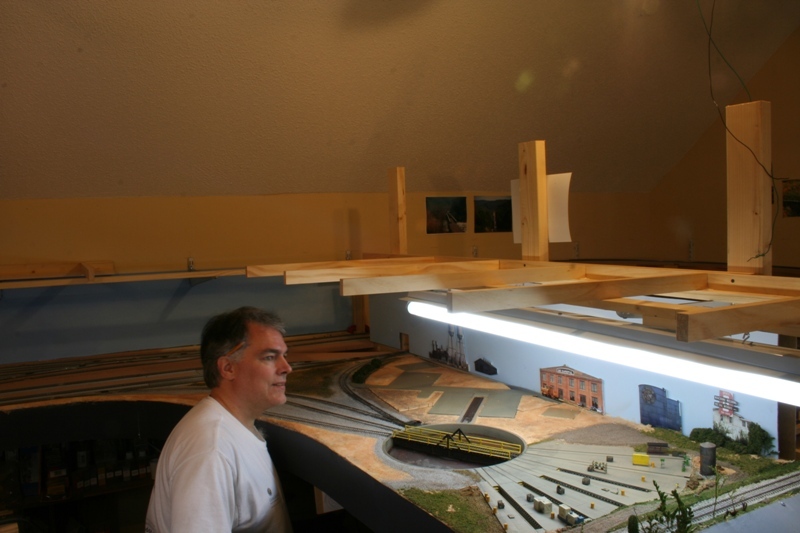 It was the carpet floor model, but my dad soon recognized that it needed to be lifted up and soon I assisted him with my first real layout back in the 1970's. 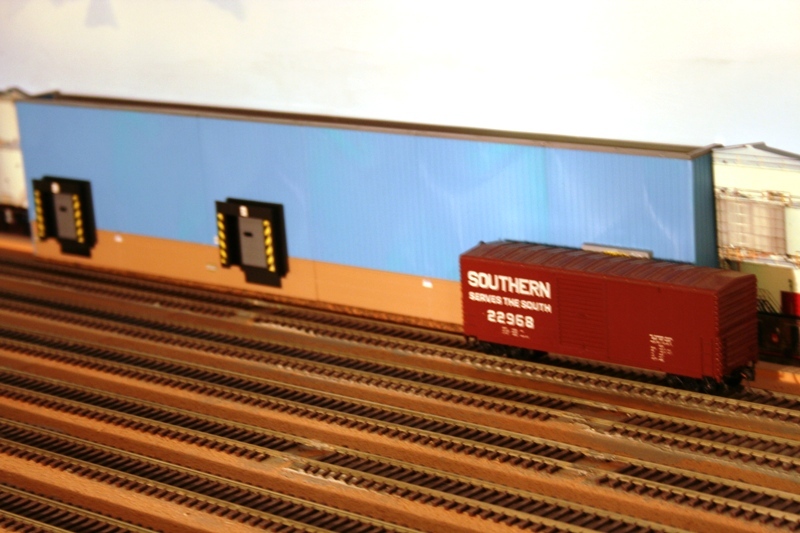 It was a 4X8 plywood express in the shed and then we added another 4X8 attached to the first with 2X2 sheets of plywood and the control panels in the middle. We had a lift up bridge and it was mostly just running trains around, with little switching. 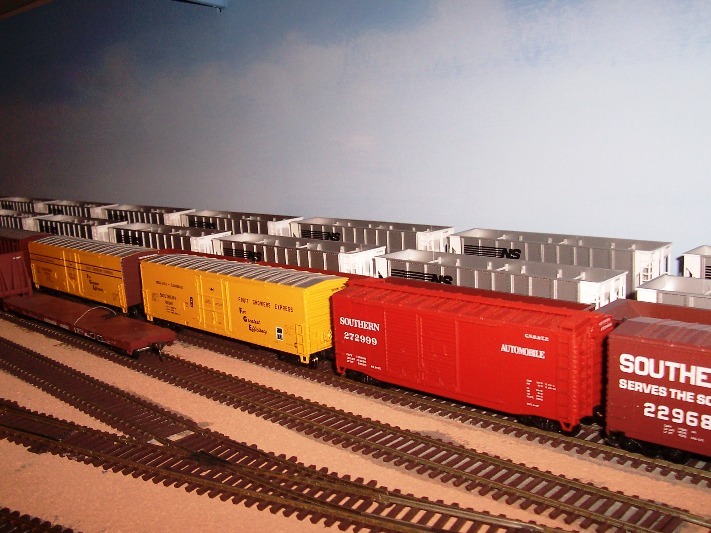 This layout was dismantled after I moved out of the house and attended college at LSU in Baton Rouge, LA. 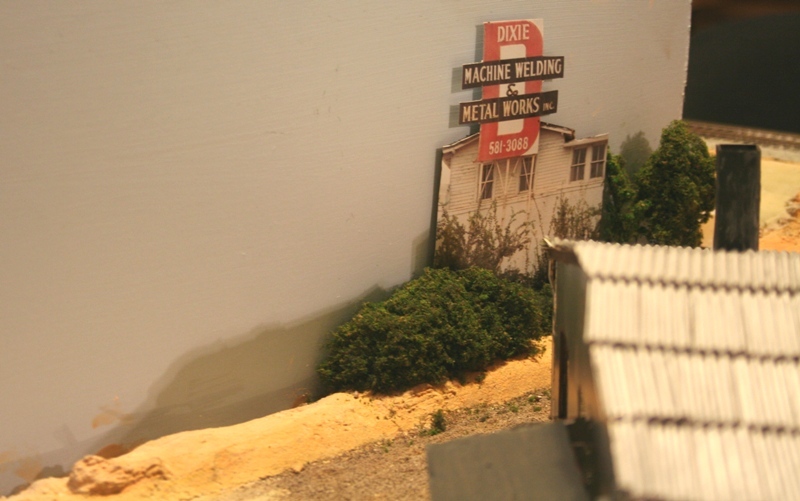 Model Railroader Magazine and the many Kalambach books that I have read over the years. 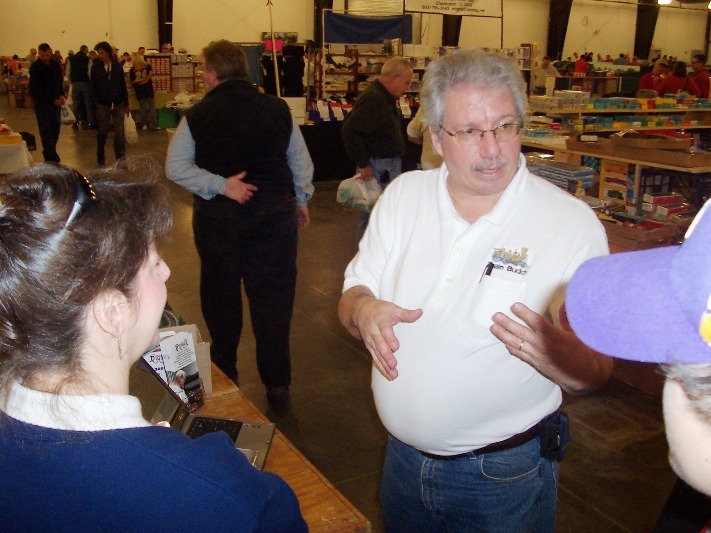 All the Model Railroader Forum members who unselfishly give of their time and knowledge to impart skill and techniques to building improved layouts, models, operations, designs, and camaraderie. 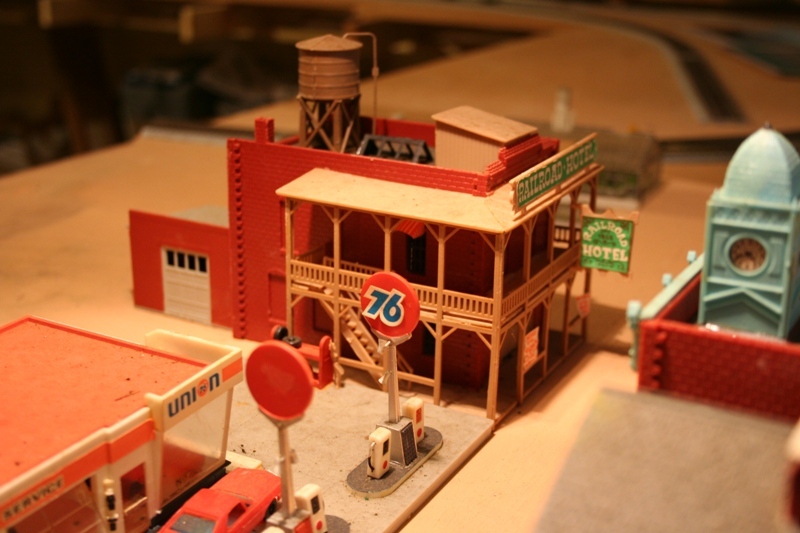 All the Model Railroader Forum members that frequent the Coffee Shop (a place to talk) since 2004, which is now entitled Elliot's Trackside Diner. They are all a great group and give great support to all who enter. A toast to them all. "Cheers!" Last but not least I want to thank my wife Monique and my son Benjamin from whom I get my current inspiration, energy, fuel, and support to continue in this hobby. Without the blessings from the CFO this project would not get off the ground. Train Buddy Train Shop - My all time favorite train shop!